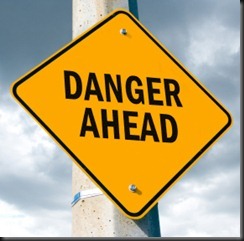 Mary, as an owner of a billing company, I agree with some of your “Danger Signs” and disagree with others. In your opening paragraph you talk about billing companies “gaming” the system, which I feel is pretty harsh. At our company we will work until the bitter end to obtain legal reimbursement for the services rendered by the client. #3, #4, #5: Our billing system is CIVITEC, which most people have never heard of but is completely HIPPA and 5010 compliant and is ICD-10 ready with no extra cost to our clients. In fact, we have had clients come to us after using big-name software because they hated it. Just because you know the name, doesn’t mean it is better. The way CIVITEC is set up (not because we don’t allow it), we cannot give access to our clients and that has never been an issue for them. Any report they want is sent to them ASAP. Patient balances are also sent on a daily basis along with daily encounter and deposit reports. #10: Integrating from the EMR system to the billing system sounds great; if your provider wants to pay extra for the billing system and it is very costly to do that so watch how you word that. It may not be up to the billing company. I agree that providers need to be comfortable before choosing someone to do their billing, whether in-house or out, but drawing such hard lines makes it difficult for honest billing companies looking for work. Best Regards. It is not unusual for the good billing companies to be shocked at tactics the bad billing companies employ. Many of the baddies focus on where they will get the biggest bang for their buck – the high dollar claims. They will faithfully pursue high dollar claims denials and write off small dollar denials. Many practice managers do not require a detailed write-off report to make sure this is not happening. You are right – I’ve never heard of CIVITEC and was unable to find any any information on CIVITEC by Googling it – can you send me a link to this software? If your clients do not have access to their data, does this mean you answer all the patient billing questions? Most managers want to deal with billing questions themselves. The billing service can say what a balance is or how it came to be, but they rarely are empowered to go beyond that. Managers want to hear the patients’ concerns themselves and seek resolutions. The integration of the EMR with the billing system is why many practices buy PM/EMR products or services from companies like athena, eClinicalWorks and Greenway. I am not endorsing these systems, but I am saying that having the services pushed from the EMR is extremely efficient (no paper interface), saving time and money. It is the next best thing to having a coder abstract the code from the provider’s documentation, which most practices find unaffordable. I don’t think the article does disservice to good billing companies; I think it puts the bad ones on caution. For better or for worse, decisions about billing are often made based on relationships and I am sure your clients find the relationship with your billing company to be satisfying, or they would not continue. I am very familiar with billing companies and how they can mislead the clients and patients. For example, McKesson offshores large portions of its billing. Be careful when signing the contract because you may be giving the billing company permission to offshore, even without your knowledge. Most employees are poorly trained and do not earn a living wage. In essence, you get what you pay for. To be the lowest bidder, there is the problem of not hiring the more experienced candidates and when the employees do get experience, they move on. There is very high turnover and poor morale. Being understaffed is the norm. There is not enough staff to track all of the claims, so writing off balances is very common. Quantity over quality is the work ethic pushed. Hiding the offshoring from both clients and patients makes for a poor work environment, as most do not feel comfortable withholding the truth. Emphasis is placed on making things look good for the client while not caring about the patients. Improvements suggested by employees that would improve the process are ignored by management, since management’s goals are to stay under budget. Outdated equipment and billing software prohibits efficiency, but management will not sacrifice their budget. Offshoring benefits the billing company, but the mistakes are horrendous. Ask the billing company if they offshore and ask what they pay their employees. A good billing company won’t offshore, and they will hire experienced employees and pay them accordingly.